I've been having a problem with my wedge for years, but it finally got worse enough that I'm dead set on fixing it. First off, I bought my wedge after market. 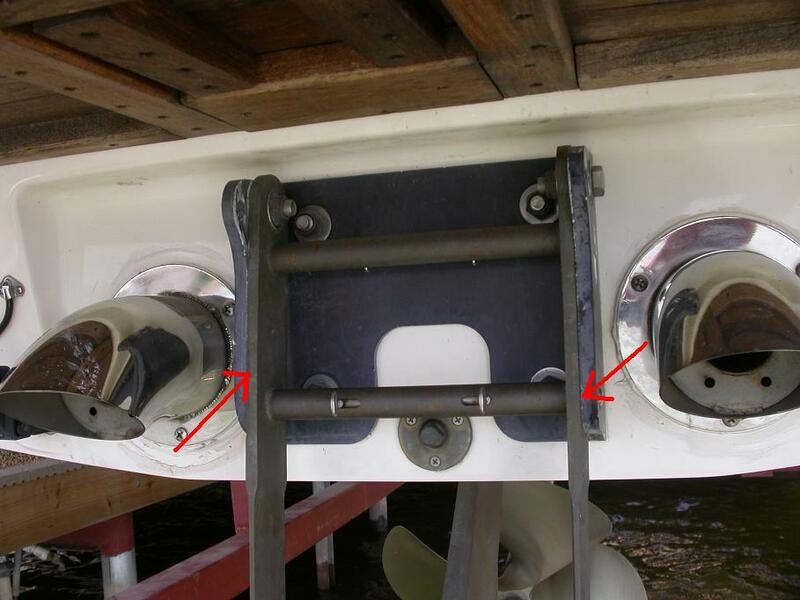 It's the right one for the boat, but it binds against the bracket and is real PITA to lock into place and even worse getting it disengaged. We've been manhandling it for years since it's not too bad to apply a good bit of your body weight in the water to break it free of the friction lock. That got old real quick while boarding as often as we did this past winter cuz we never remembered to put it up and had to get back in the water to do it. What would be easier? Grind or sand down? The bracket walls or the struts of the wedge? And how? Have you tried some grease? Does it rub the whole length of the bracket on both sides or just near the bottom? The whole length, maybe a little more on the ends of the bracket. 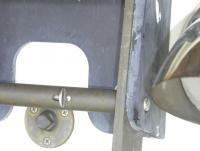 As you lock it down you pushing the whole length of the strut against the bracket so it feels like a lot more. Just judging by the wear against the surfaces though I'd say it's more even. Nope, haven't tried grease. I considered it. Decided against it on the grounds that it'd probably not last long and would contribute to lake pollution. There's a thought.... It's lunch, so I think I'll go give that a go. I had a similar problem on my last boat. The bracket with the tabs seems to back out of the vertical brackets just enough to make things difficult to get the wedge up. Per my dealer, I just took a hammer and a block of wood to get it back into place. Worked like a charm. I only had a scissor jack laying around, and gave that a go. I didn't get too carried away because the jack surfaces were beginning to warp before the bracket moved so I stopped. I'll look for something more robust to use later. I'm not sure I understand. Are you referring to the braces between the struts with the locking pins? Yep, that is what I was referring to. I was trying to think if there was any possibility of that process damaging the glass. I don't think it would with the bottle jack. But there definitely is with a BFH..... would be worth it to remove the bracket from the boat if thats the method you choose. Bring it over here and I'll fix it. I'm home. Don't be hatin on the bracket....the wedge arms are the problem. They are a press fit (vertical arms and horizontal supports), and like to work themselves out over time. Press the whole thing back together with a mallet and you should be all set. I'll take another look. Maybe the oxidation threw me, but it looked like it was welded at that seam. That'd explain some things. I haven't gotten to fix anything by hitting it with a hammer before! That's always the cathartic, but incorrect, answer to a problem. I have my wedge and mount off my boat right now. When I took it off, it had a 2" fender washer siliconed right in the middle if the mount bracket between the transom and bracket. I assume it was to spread the bracket out a bit as it was torqued to the transom. I am not planning to put it back when I bolt it back up. Looks to be pleanty of clearance for the swing arms on mine. Anyone else noticed a washer behind the mount bracket? By the way, I took mine off to Line X it due to the corrosion. Will add pics later. As Chris stated, it's the locking pin tubes. The design is that the tubes have a taper on each end. These simply press into the vertical arms. The vertical arms attached to the bracket hold them in place. Use two mallets or a pipe clamp (wood clamp, etc) and either bang each side at the same time or compress them with the clamp. (Compress the two arms together, squeezing the tube) All you need is a 1/16" inch. Take the wedge off the boat, put a small piece of plywood on the curb at the street (or somewhere real solid where it can stand with the arms horizontally and not hit the foil) , lay the wedge down and with another block of wood on top hit the wedge arms with a heavy hammer starting with light blows, alternating. You've never owned a Ford, I see.